First cut a 6" x 9 1/2" piece of Stampin' Up! Pool Party card stock and fold it in half for the base, a 4 1/2" x 5 3/4" piece of white for the middle layer and a 4 1/4" x 5 1/2" piece of white for the front layer. Next sponge the front layer with Stampin' Up! Pool Party ink darker around the sides and lighter in the middle. 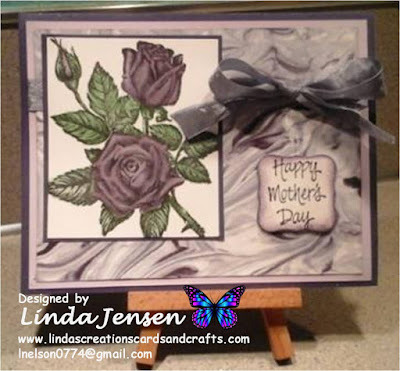 *Note-to avoid dark spots begin sponging beside the card stock and work your way in. 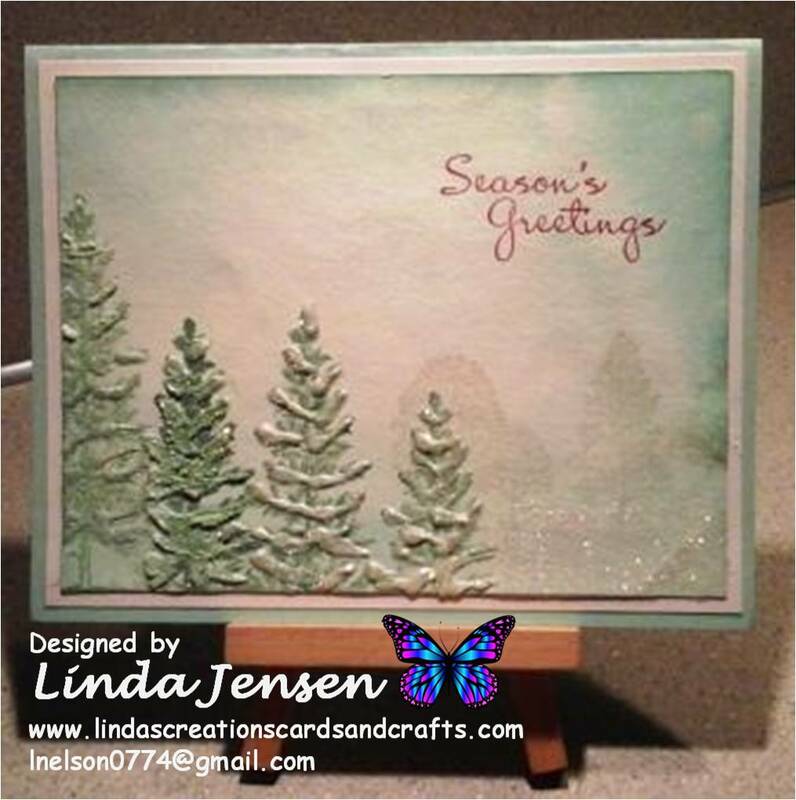 Then double stamp (ink your stamp, stamp on a piece of scrap paper then on the card stock without re-inking) the smaller trees in Stampin' Up! Crumb Cake ink. Next double stamp the tree on the left with Stampin' Up! Garden Green ink then regular stamp the other three. Next apply White Opal Liquid Pearls paint to the tees and sprinkle with Nicole Ultra Fine Premium Crystal Diamond Dust Glitter and allow to dry completely. Next add glue and glitter below the smaller trees and allow to dry again. Then stamp the sentiment with a stamp from a Stampin' Up! More Merry Messages stamp set in Stampin' Up! Cherry Cobbler ink, attach the front layer to the middle layer then to the base and enjoy!